Iwabuchi Y. 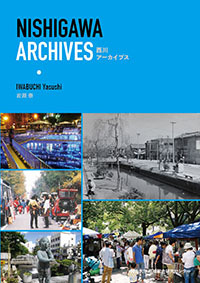 (2018) “University and community partnerships for urban development Civic engagement in Nishigawa Canal Park in Japan” in Zinaida Fadeeva, Laima Galkute, Kiran Chhokar, eds. "Academia and Communities -- Engaging for Change". Publisher: United Nations University Institute for the Advanced Studies of Sustainability (UNU-IAS). pp.146-159. © 1995 - KIBITO inc.